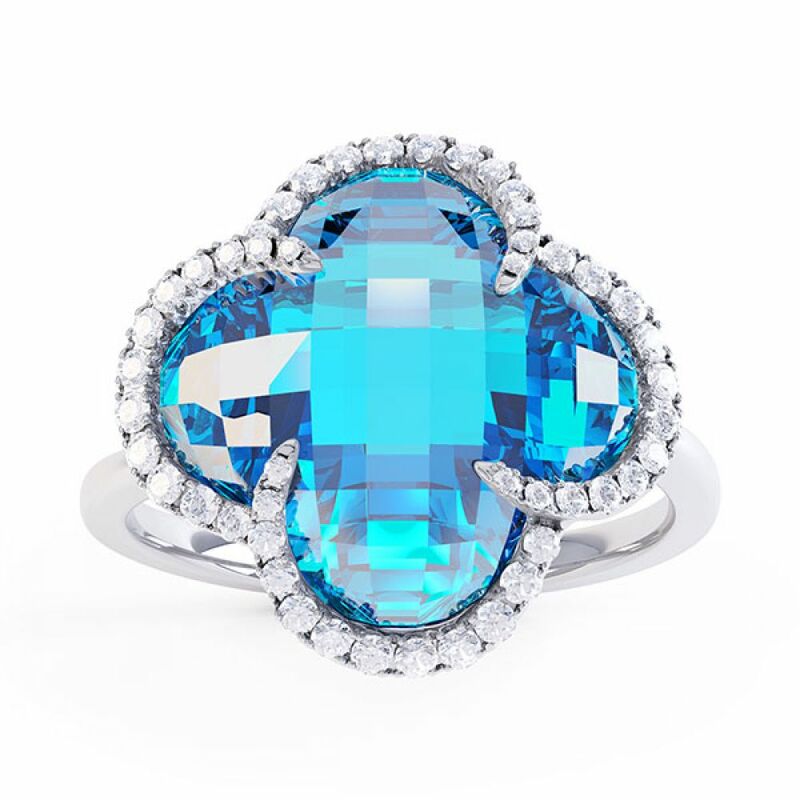 With a curving halo of Diamonds which graduate in size, this Faceted Blue Topaz sits proudly within its embrace. 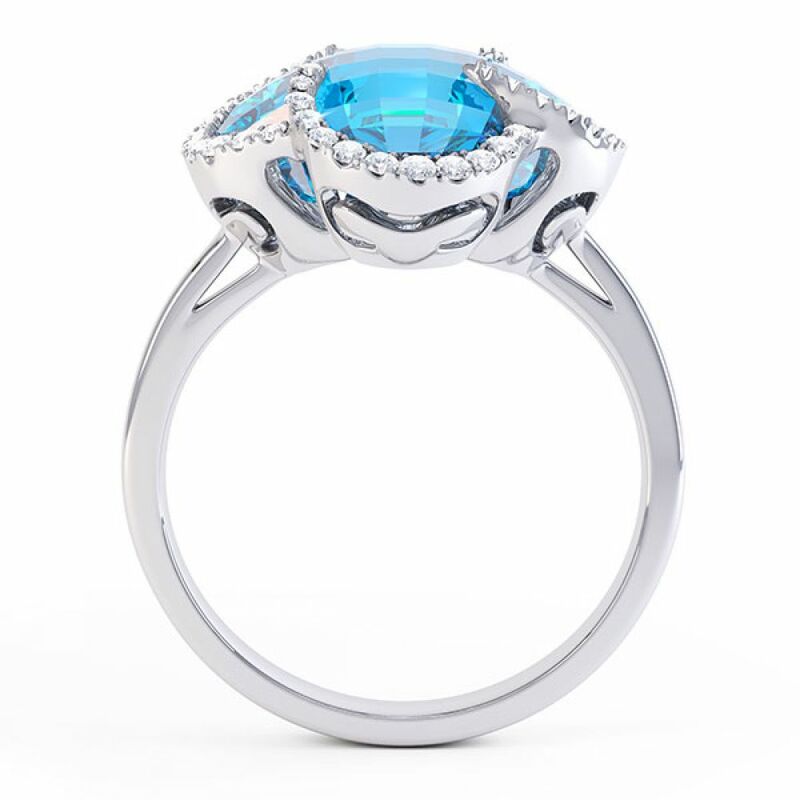 Created in 18ct White Gold and available in a size N, this design incorporates both the fascinating 9ct Blue Topaz and the delicate Diamonds which add up to a total of 0.22cts, and have been graded a G Colour and SI1 Clarity. 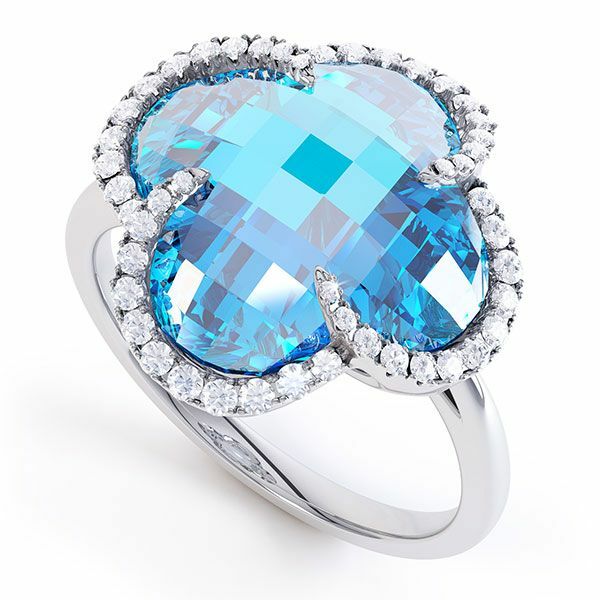 This will fit a fingersize N. It is a design that is luxurious in every way. Available for immediate dispatch, your ring can be with you with Next Day Delivery (within the UK), and can be with you in just a few days if you live internationally.